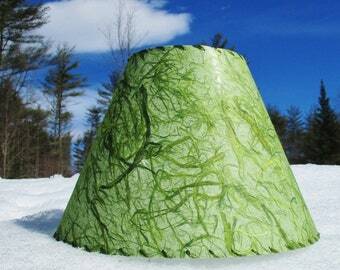 This handmade paper lamp shade will update your room with a colorful touch of nature. 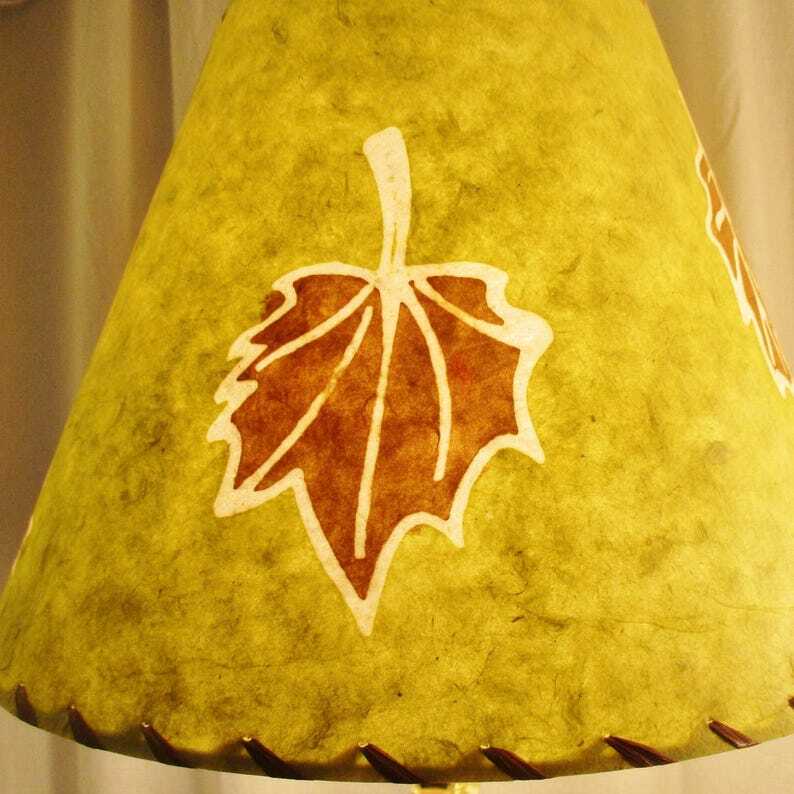 Batik is a wax resist dyeing technique usually seen on fabric, but this Nepalese paper is made the same way, with a crisp and bold high contrast leaf design. When the lamp is on the brown leaves are brightly outlined in an avocado green background. Made from tree free lokta paper laminated to styrene, it has a washer top for your lamp with a harp, and measures 6" across the top, 12" across the bottom, and is 9" high. It is stitched with brown raffia. Other sizes available, please message me with your measurements for a custom order. It should be kept out of direct sunlight and dusted regularly to keep its best appearance. It can also be converted to a bridge top for a lamp where the bulb points downward. Please let me know if you need this hardware changed. All sales final so please be sure this size and hardware will work for your lamp, as shades can not be returned.